Post race reports from recent meetings including the Secret Trail inquiry finalised on November 30. Heywood stated however after being slow to begin, his mount settled further back than intended and despite his efforts he was unable to find cover and ultimately travelled wide and without cover throughout the race, midfield. He said after turning into the home straight, in accordance with his instructions, he allowed Secret Trail time to balance up, and permitted his mount to gradually improve without him unduly pressuring the mare. He said at this time he was unaware that the leader and eventual winner Upscale had run the first 500m slowly, and although he was some lengths behind that runner at the 400m, he was still confident of his chances in the race. He added that after the 300m he commenced to place Secret Trail under pressure and the mare responded well and he continued to ride as vigorously as he is able until the finish. 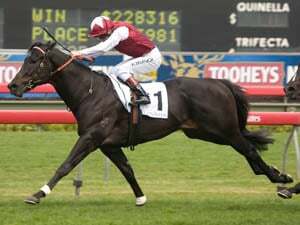 He stated that Secret Trail closed the race off strongly and he believed that considering the extra ground he was obliged to cover throughout the race, Secret Trail’s finishing effort would have, in all likelihood, peaked prior to the winning post had he made his run before the 300m. Peter Snowden confirmed the instructions issued and stated that although Secret Trail was obliged to cover ground, he was satisfied with Heywood’s riding for the major part of the race. Snowden did concede that considering the last 600m was run at 33.55sec, Heywood, due to his inexperience, had not correctly judged the early tempo, and in retrospect could have placed his mount under pressure closer to the 300m. 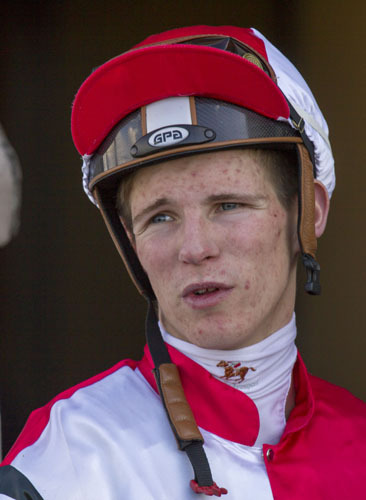 However, after having had the opportunity to view the relevant patrol videos, Snowden was not fully confident that the mares run had been sustained right to the winning post. 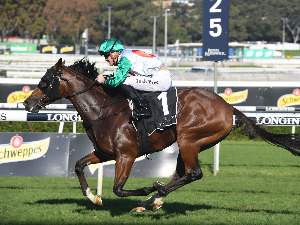 After considering all the circumstances, the Stewards advised Heywood, that bearing in mind he was some lengths behind Upscale at the 400m, and the slow tempo in the early and middle stages, he had erred in not placing Secret Trail under pressure sooner than he did on this occasion. 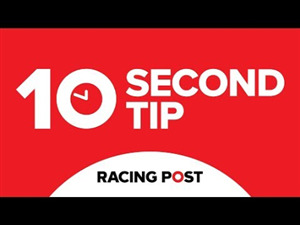 In not taking the matter any further the stewards are mindful that judging tempo in races is an acquired skill, and that Heywood’s inexperience as a 3kg claiming apprentice in the Metropolitan area was a mitigating factor when assessing whether the ride was culpable. 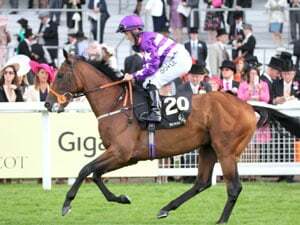 He was advised however that had he ridden his mount along at the appropriate time, the mares finishing position would not be called into question. Peter Snowden was reminded that this case underlines the need to give alternate instructions to riders such as Heywood, who due to their inexperience will seek to carry out his intentions, irrespective of the manner in which a race unfolds. RACE 7: I Am Magnificent – When questioned regarding the improved performance of the gelding compared to its last start at Hawkesbury on 7 November trainer B Somers reported that leading into the race she had altered the work which I Am Magnificent did on Monday prior to the race. She said that she altered the gear of I Am Magnificent in that she had the ear plugs applied with a Norton bit and pacifiers. She added that these are the two main reasons she attributed to the horse's improved performance. RACE 6: Slow Pace – stable representative Cameron Swan advised the gelding would now be spelled. RACE 7: Ninth Legion – stable representative D Fisher advised that the stable was pleased with the manner in which Ninth Legion had recovered after competing in this race and will continue with its preparation. Lunar Rise – Trainer James Cummings reported that Lunar Rise had returned to the stables well and he was satisfied with its post-race condition. RACE 8: Metallic Crown – stable representative Charles Duckworth reported that the gelding had pleased the stable in its recovery from this race and would continue with its preparation. RACE 3: Kinka Bay – The Gabrielle Englebrecht stable advised that the gelding pulled up shin sore following the run and would now be spelled. A veterinary clearance is required prior to the gelding barrier trialing or racing. RACE 7: Richman - trainer Leah Rogers reported that subsequent to the event in which the gelding won, he had pulled up with an injury to its off fore tendon. RACE 7: Military Salute - the Hayes stable advised that the gelding pulled up fine and had a veterinary check which found nothing amiss and will be continuing on. RACE 5: First Watch - trainer Alicia McPherson has advised that the gelding has pulled up fine but will now be spelled.